This weeks Flash Back Friday takes us back to Episode 53, from July 2011. Wherever crisis occurs, Goldman Sachs, also known as Government Sachs, can be found to have a heavy hand in it somehow. Join Jason Hartman as he talks with Sherri Kane, investigative journalist, about the disastrous BP oil spill, the Wall Street giant’s connection through their various controlled interests with the firms involved, and the media censorship that occurred during the crisis. Sherri also discusses the environmental and health impact of this horrendous event. Sherri Kane is an investigative journalist, news commentator, psycho-social analyst, and political activist, specializing in uncovering media persuasion and manipulation, conspiracy realities and women’s and children’s rights issues. 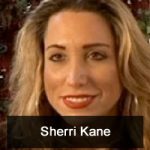 She is the Vice President of Medical Veritas Journal, has published work in various newspapers, magazines and websites, and has been interviewed all over the world including Tru Tv’s Conspiracy Theory with Jesse Ventura, The Veritas Show, BBC Talk Radio Europe, Alex Jones Prison Planet and other radio and internet broadcasts. She is the co-host of The Insight Hour on BBSRadio.com along with Dr. Leonard Horowitz.